July 26, 2016 – Sierra Nevada Corporation (SNC) has passed the second Integration Certification Milestone under NASA’s Commercial Resupply Services 2 (CRS-2) contract. NASA assessed and fully approved SNC’s detailed approach for getting the Dream Chaser Cargo System to the International Space Station (ISS). SNC’s approved strategy demonstrates a thorough understanding of design requirements and available resources on both a system and subsystem level. 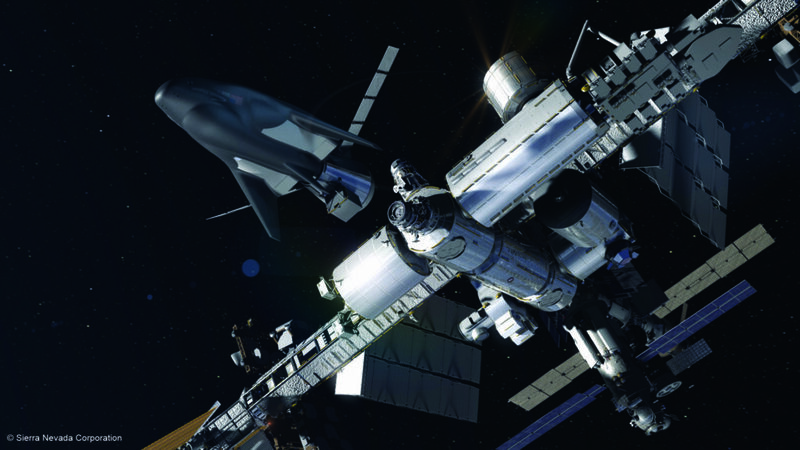 Dream Chaser will provide a minimum of six cargo delivery missions to and from the ISS between 2019 and 2024. Completion of Milestone 2 means NASA and SNC collectively agree on the certification criteria used to confirm Dream Chaser designs meet CRS-2 mission requirements. These qualification and verification plans will be utilized during future integrated design and test milestones to validate Dream Chaser Cargo System capabilities. The current flight vehicle has been upgraded with several cargo system design components to support multiple test objectives – verifying the spacecraft’s performance during final approach and landing, directly supporting the CRS-2 Certification Plan approved during Milestone 2. This will ultimately accelerate development of the first orbital mission and increase confidence through flight-tested systems. Dream Chaser’s first milestone was passed several weeks ago and outlined technical, logistic and schedule procedures for the program. The Dream Chaser spacecraft was originally developed and tested in partnership with NASA’s Commercial Crew Program, which included a full-test campaign at NASA’s Armstrong Flight Research Center leading up to the October 2013 approach and landing test. Sierra Nevada Corporation’s Space Systems business area is based in Louisville, Colorado. SNC designs and manufactures advanced spacecraft, space vehicles, rocket motors and spacecraft subsystems and components for the U.S. Government, commercial customers, and the international market. SNC’s Space Systems has more than 25 years of space heritage and has participated in more than 450 successful space missions.